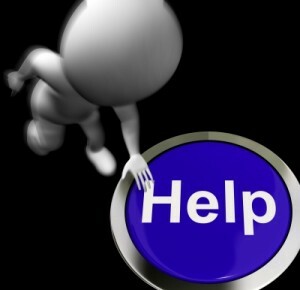 Why is it often times hard to ask for help? Is it that it shows vulnerability, that we are weak if we can’t do it on our own? Is it that we don’t want to infri nge on others? Or take someone’s time? Perhaps shyness and going up to someone feels scary? I think reaching out/ asking for help takes courage. There is the possibility of someone saying no which we sometimes give meaning that it is rejection of us. I think the first step is knowing what we want. Is it connection? Is it seeking knowledge on how to do something? I also think it is important to not put yourself at a disadvantage, by comparing that the other person has something you want, by comparing that they are somehow better or that I am lesser because I am reaching out. Image curtesy of Stuart Miles at http://www.freedigitalphotos.net. This entry was posted in Uncategorized on February 20, 2015 by sparkfinder.